This includes 2,000 age-friendly food packs from Age International’s overseas implementing partner HelpAge International. Why is delivering aid proving difficult? Super-typhoon Haiyan crashed into the Philippines in the early hours of 8 November. It was one of the strongest storms to ever hit land, anywhere in the world. Under these extreme conditions, delivering aid can be a real challenge. Roads and paths are blocked by trees and debris – and the Philippines itself, as a collection of islands, is even more difficult to navigate. The biggest obstacle is blocked roads, which are narrow, strewn with heavy debris and in many cases impassable by vehicles. The Philippines government is experienced in dealing with the effects of storms, but the devastation caused by the typhoon is unprecedented. The government, army and police have lost a significant number of staff; killed bereaved or otherwise impacted by the disaster. 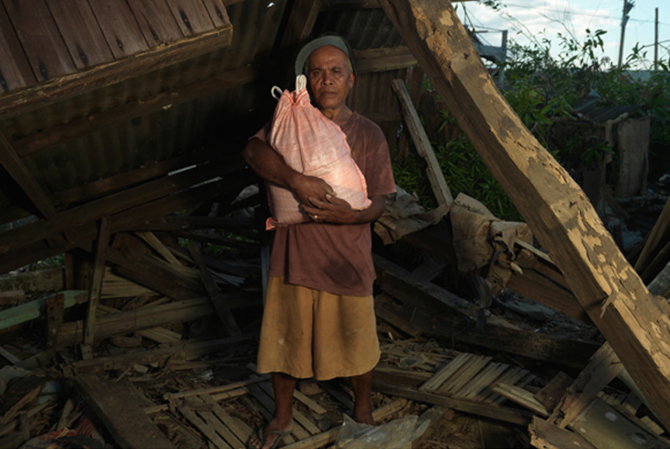 An older man receives an emergency food pack in the Philippines. Working through our overseas implementing partner HelpAge and the Coalition of Services for the Elderly (COSE), we have already started providing food, shelter and essentials to older people. Most recently 2,000 age-friendly food packages have been sent out – containing rice, noodles, salt, oil and dry fish. Just one of these packages will feed a family for one whole week. Emergency kits are also being organised – containing blankets, mosquito nets, flashlights and first aid supplies. 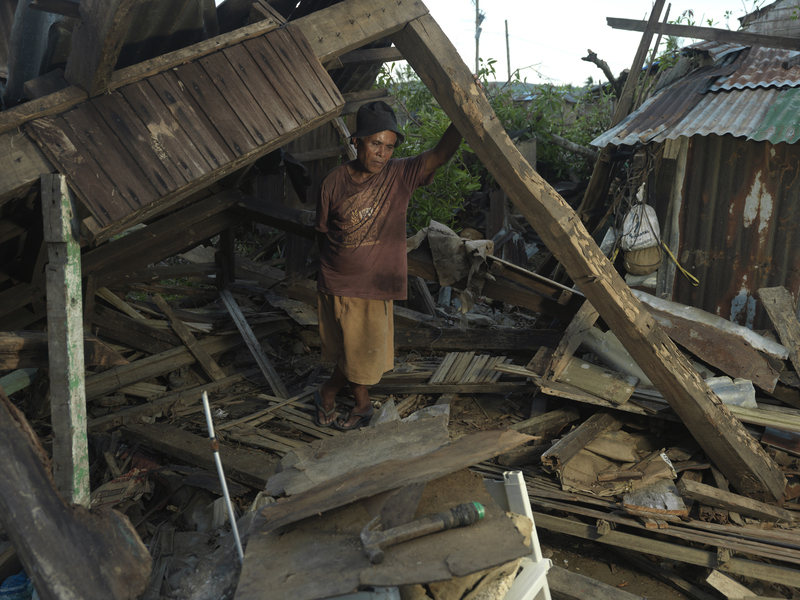 Before the disaster struck, early warnings were sent out to older people through local Older People’s Associations in the Philippines. Setting up Older People’s Associations is a key part of Age International’s strategy. Once the immediate needs of older people in the Philippines have been met – food, water, shelter – our response will turn towards long term rehabilitation programmes. These will be set up through Older People’s Associations – as a way of connecting the local older population.